As the head chef and co-owner of Village Market & Bistro and Village Square Restaurant, staples of the Downtown Walking Mall, Dan Kalber thinks Winchester is ready to “move onto the next chapter” with him. “For me and what I wanted to accomplish for Village Market & Bistro, I feel like I accomplished that and I wanted to try something new and different,” said Kalber. His new restaurant, Water Street Kitchen, has made its home at 2 South Loudoun in Winchester, Va.
Water Street Kitchen brings a down home cooking concept and dining style to the people of Winchester and will continue to highlight and build relationships with artisans of the Shenandoah Valley, serving the freshest ingredients possible. The menu features comfort food at its finest with all-day breakfast options, a variety of sides, which you can make a complete meal out of, and the infamous Josie's Grilled Cheese. Kalber's new concept puts “food first” and focuses less on the bottled beverage selection that was available at the Village Market & Bistro. Motivated by his family and his community, Kalber said that when he was thinking about opening a new restaurant, he asked himself “as a chef, is it about what you want to cook or about what the people want you cook?” He believes that in the City of Winchester, it's all about what the people want him to cook and that's what he is going to do. 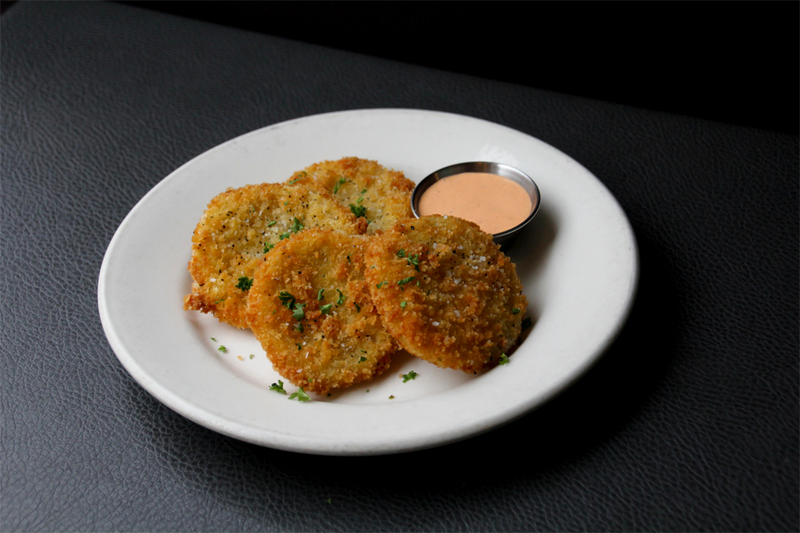 Pictured above from left to right: Chef Dan's Famous Fried Green Tomatoes with Pimento Creme Fraiche. 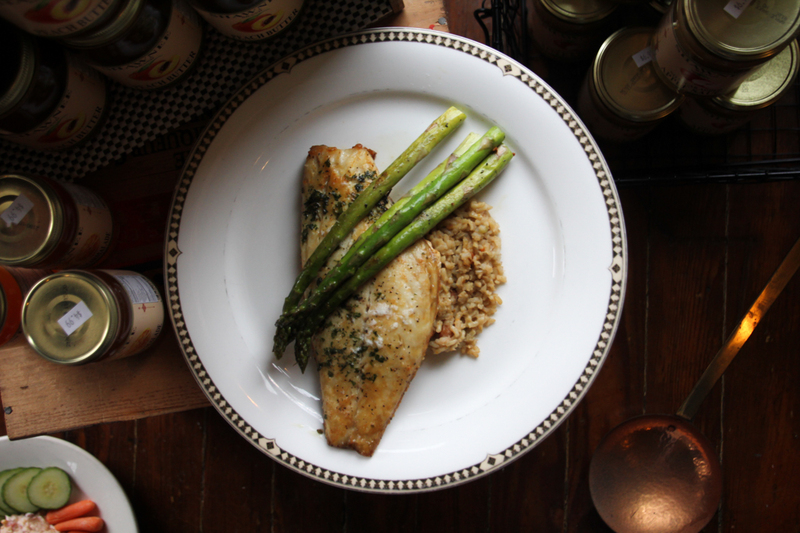 Herb Broiled Red Snapper with asparagus. Buttermilk Fried Chicken Fritters, Herb Broiled Red Snapper and Uncle Nate's Pimento Cheese Dip. 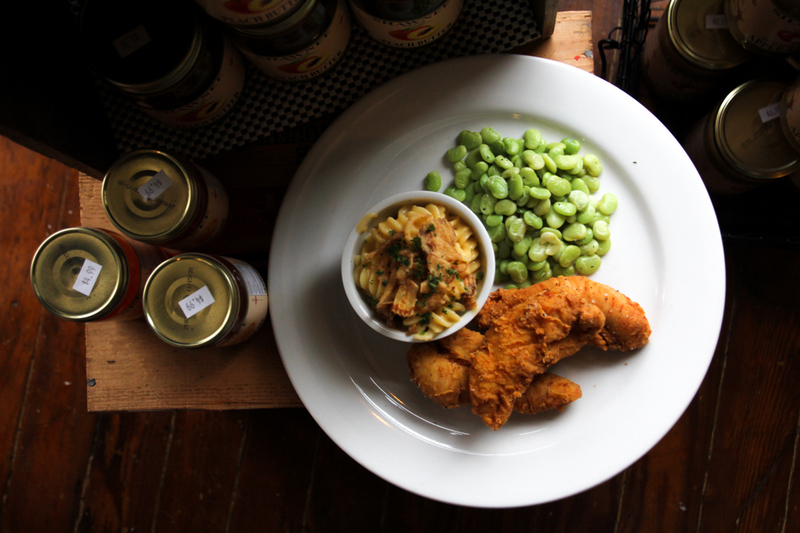 Buttermilk Fried Chicken Fritters with buttered lima beans and mac and cheese. 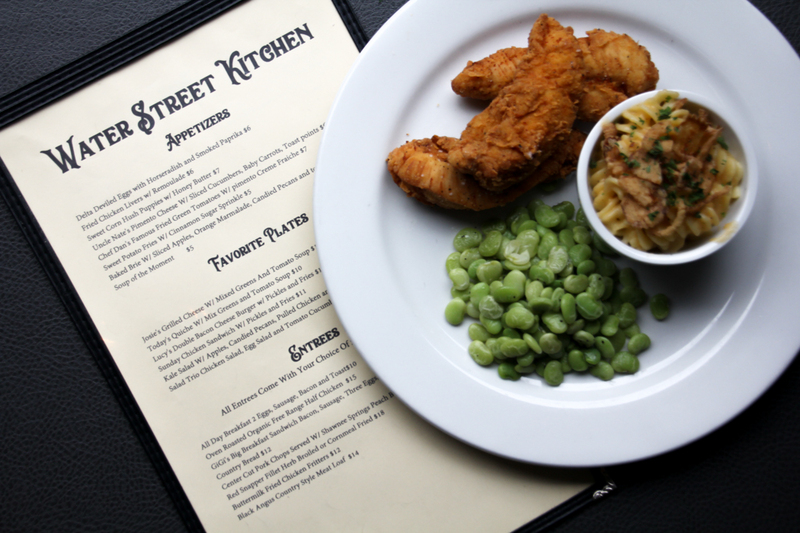 “We're not reinventing the wheel, we're just trying to put the right wheel on the right bike,” said Kalber, referring to the simplistic, but well-made food that he and his staff plan to produce at Water Street Kitchen. 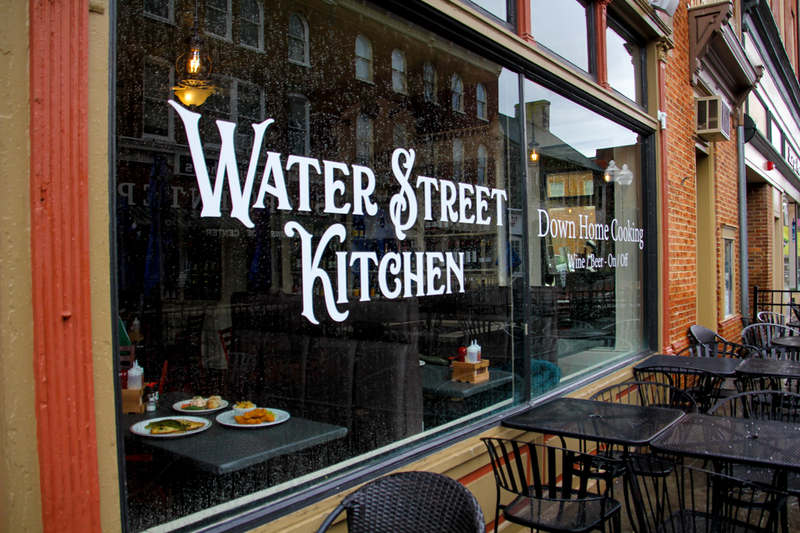 Inspired by what his mom cooked him and the dining experiences that he had with his family growing up in South Dakota and Maryland, he wants Water Street Kitchen to be "family-driven dining", exclaiming that "it's all about family," for him and his staff. 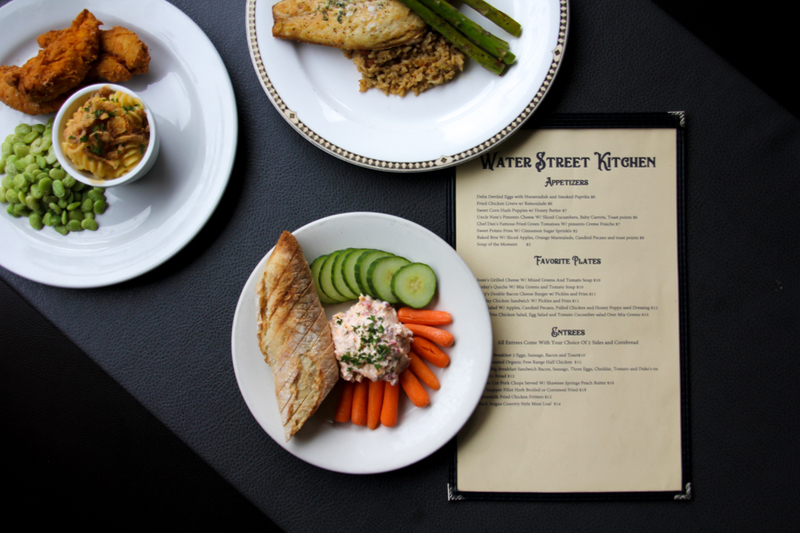 For more information and to check-out the full menu, please visit waterstkitchen.com and follow Water Street Kitchen on Facebook and Instagram.